Beach wedding centerpieces need not be expensive, nor elaborate. You can have a cheap Florida beach wedding by saving a huge amount of money on centerpieces. 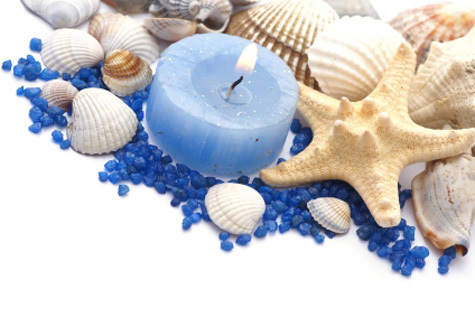 (1) A small, inexpensive candle set among colored pebbles and small colorful shells. (2) Small glass containers with brightly colored stones on the bottom, and a few rose petals floating in water. (3) A hollowed-out watermelon half filled with cold fresh fruit cuts, grapes, and berries. (4) Bowls made of dough which hold unique and brightly colored medium-sized shells for the guests to keep as mementos of the wedding. These are just some of the creative and inexpensive ideas used by brides who hold their reception at the Treasure Island Pavilion here on the Florida Gulf Beaches. Hopefully they give you something imaginative for your own wedding centerpieces.